Popular for silk painting, these various sized scarves are 100% Chinese silk, hand rolled and hemmed with silk thread, ready to paint or dye. Color shows vibrantly and evenly. 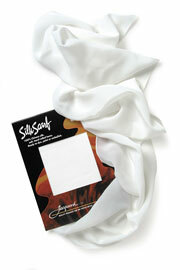 ® Silk Connections is a registered trademark.